We as Salon Three Thirty's owners-Eric Culbertson, Peg Cribari and Yancey Smith hooked up with the hottest architectural team in town; Zero3, Inc. (the dreamers behind the Goss Gallery and Victory Discovery Center, Mi Cocina/Taco Diner) and continually redesigned and reconfigured the blank slate before coming to what we consider to be a perfectly designed salon space: Salon Three Thirty. Salon Three Thirty's location in Dallas is a perfect fit for our salon and our clients. Coming out of the Roger Thompson Salon at Barneys New York, both Cribari and Smith found themselves at a crossroad when the Dallas location closed. Thompson had been both a longtime friend and mentor, and one of the most creative talents in the business when approached by Barneys. Roger trained us and really helped develop our talents to the point of perfection. His background as "the original" International Creative Director for Vidal Sassoon, was a phenomenal resource on which to draw. When the salon closed, we were confident that all we had learned would carry over to our next venture and create a success story. Taking our name from the suite number of the Roger Thompson salon in Barneys, salon three thirty was created. And success is what we are all about. With the addition as co-owner, of Eric Culbertson; (long considered a Dallas hair color icon), the three of us have diligently built a business that includes Dallas’ most prestigious clientele roster. The chic and sophisticated atmosphere of the salon, as well as a continuing involvement in the Dallas community, keeps the style makers in town on the books. At Salon Three Thirty in Dallas, we specialize in creating an “oasis of calm” for our clients. The salon feels vibrant, yet it doesn’t overwhelm… and everyone needs a little relief every now and then. In addition, we have an outstanding team of specialists offering a range of hair care needs. From Tuesday to Thursday 10:00 a.m. - 7:00 p.m.
Find in Dallas the top hair salons that we have carefully selected for you and your hair's well-being! But don't go there without shopping a little to find the perfect cowboy outfit! Peg Cribari has accrued an abundance of hair cutting knowledge and experience over her thirty-year career. As a co-owner and co-founder of Salon Three Thirty, Peg Cribari sets the tone for the salon’s style and creative direction. Peg Cribari is always aware of the latest hairstyling techniques, and is on the pulse of emerging trends. Peg Cribari's career has introduced her to hair cutting luminaries, and allowed her to work closely with the some of the most respected minds in the industry. Peg Cribari trained with Yusuke Suga, Jacques Dessange, Burlingtons in England, and Francois of Paris. The most influential period of Peg Cribari's career began at Vidal Sassoon’s Advanced Hairstyling School in London and culminated in her introduction to Roger Thompson. Thompson, the original International Creative Director for Vidal Sassoon, personally trained and worked side-by-side with Peg Cribari for 10 years. He significantly influenced Peg Cribari understanding of haircutting and her appreciation for the profession, and he transcended their working relationship by becoming a trusted friend and advisor. Peg Cribari also has a passion for sharing her haircutting knowledge and experience. Peg Cribari travels to various salons to teach fundamental skills and advanced techniques. Peg Cribari also recently founded “Hair United” with Tony Beckerman and Ian Gavet. Beckerman is famous for being the first Vidal Sassoon instructor in America, and Gavet is well known as the former International Hair Color Presenter for Joshua Galvin and also for the Wella Group. Together they teach educational seminars for salons across the country, and share their vast knowledge of haircutting, hairstyling, and hair coloring approaches. Eric Culbertson joined the salon in 2001 as a co-owner and has been instrumental in the salon’s growth and philanthropy. Eric Culbertson brings over 15 years of experience and an excellent reputation as a colorist. Eric Culbertson trained with Vidal Sassoon’s legendary Annie Humphreys and with New York’s Jingle’s Salon. Eric Culbertson's expertise extends to all areas of hair color, and he has shared his color techniques for Vero, a division of Joico products. Eric Culbertson has trained and developed numerous aspiring colorists and has shaped the salon’s hair color philosophy. Eric Culbertson is an active member of Dallas’ philanthropic community. His involvement includes the 2010 Treasure Street fundraiser event for Scottish Rite Hospital for Children, the 2011 Toast to Life event, and Dallas’ 2011 Black Tie party. Eric Culbertson also recently completed a certification program to become a licensed yoga instructor. Eric Culbertson founded the non-profit organization “Strength Through Yoga” to introduce and create yoga programs for professional organizations. Trisha Johnson has over ten years of experience and is the lead stylist at Salon Three Thirty. Trisha Johnson specializes in innovative hair design and cutting edge haircuts. Trisha Johnson was trained at the world-renowned Vidal Sassoon Academy in Santa Monica, CA; and she has worked with some of the most respected individuals in the industry. Trisha Johnson's career has been influenced by Australia’s Kevin Murphy, Jose Eber’s salon in Dallas; Frederic Fekkai’s and Trevor Sorbie’s New York locations; and the Fred Segal salon in Los Angeles. Trisha Johnson's impressive client list includes celebrities, television personalities, athletes, and authors. Trisha Johnson has styled hair for Katie Holmes, Clay Aiken, Mike Modano, the Dallas Cowboy’s Cheerleaders, and best-selling author Charla Krupp. Trisha Johnson's imaginative and picturesque styles have been featured on television and in national magazine publications. Kim Dawson Models, LA Models, and Wilhelmina Models are some of the agencies that have contracted her services and featured her work for advertisements, fashion shows, and events. Trisha Johnson is available to work on location and will travel for bridal parties, weddings, and fashion editorials. Trisha Johnson is quickly becoming one of the most talented hair stylists in Dallas. Her understanding of fashion, art, and traditional beauty allows her to create personalized styles to accentuate every look. Alex Monge has seven years experience doing hair, specializing in color. Alex Monge has worked primarily with, and was trained by co-owner and color specialist, Eric Culbertson. Alex Monge has trained at Vidal Sassoon’s Santa Monica Academy, attending the Advanced Classic Color Class. Alex Monge is also certified in Great Lengths Cold Fusion Hair Extensions. Bianca Kier attended the Vidal Sassoon Academy in Santa Monica, California and also completed her apprenticeship at the Vidal Sassoon Salon in Costa Mesa, California. Bianca Kier also trained at MUD (Make Up Designery), where she was taught certain make up techniques in beauty, film and photography as well as updos and fashion hair styles. Bianca Kier specializes in Women's and Men's haircuts. David West specializes in chemical services. David West has spent his career working not only behind the chair, but traveling and teaching color techniques to stylists across the country. David West also offers the Pravana Smoothout system, a formaldehyde/aldehyde free smoother for taming frizz and gently relaxing curl. Salon Three Thirty is located at 4215 Herschel Ave, Ste D in Dallas. Davines crafts hair care products and projects for our world that express a balance of substance and style, nature and science, ethics and esthetics, people and spirit. 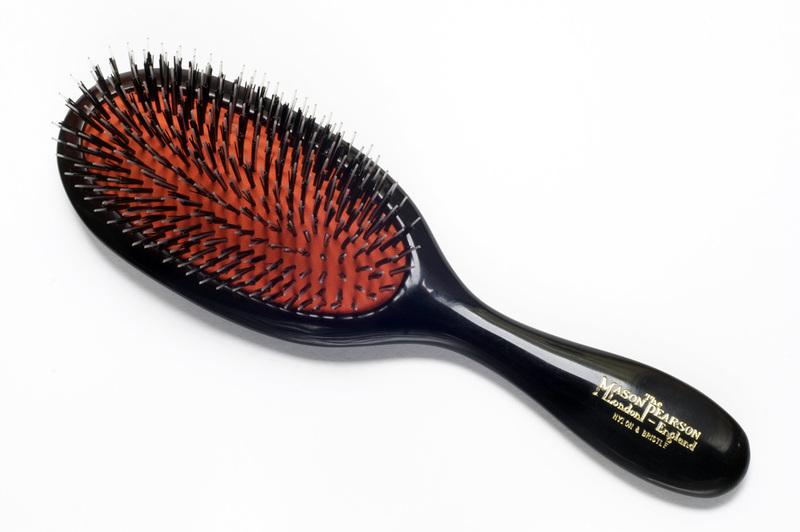 To maintain the quality of the Mason Pearson Hairbrush it is not mass produced. Most of the work is carried out by hand, using techniques pioneered and patented by the founder - Mason Pearson - over one hundred years ago and improved succeeding generations.